GUESS Originals and Chinatown Market have joined forces for an 11 piece capsule for both men and women available exclusively at Urban Outfitters. 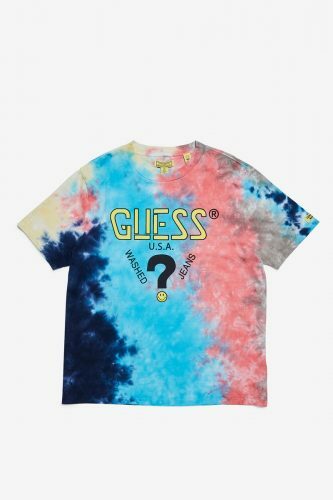 The capsule collection consists of a selection of long and short-sleeve t-shirts and hoodies in a vibrant dipped tie-dye print, and white and black tees featuring exclusive GUESS Originals x Chinatown Market logos. 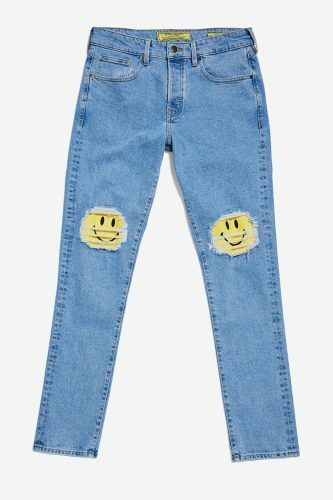 Staying true to GUESS’ roots, the capsule also offers a matching indigo denim jacket and denim jean set with the iconic GUESS smiley logo across the back of the jacket and along the knees. 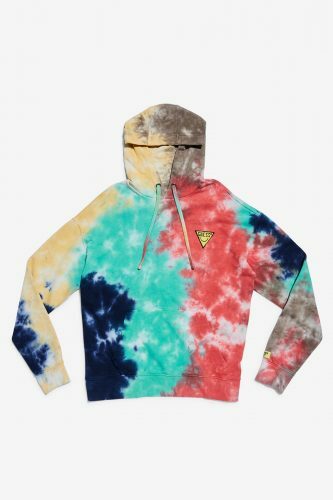 Shop the full collection at Urban Outfitters which offers free US shipping for orders above USD $50, get Buyandship to bring your purchase back!